Old school soul showed that it is still a force to be reckoned with. 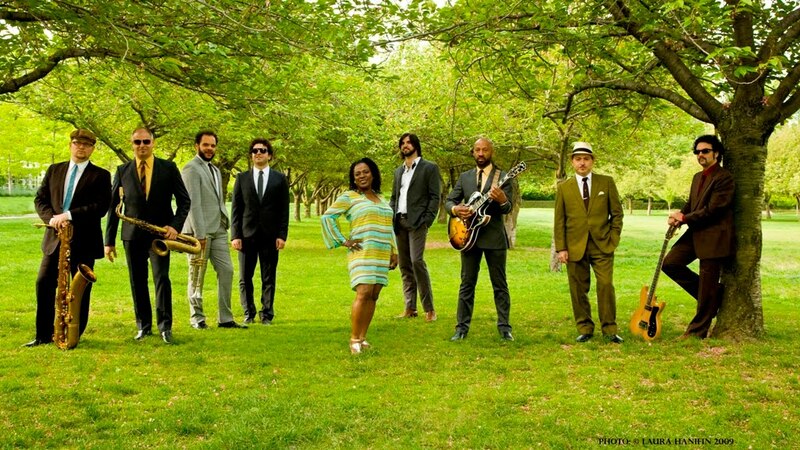 I Learne d The Hard Way, the new record by Sharon Jones & The Dap-Kings debuted at #15 on the Billboard Top 200 charts. And, what do you do when you have a new hot record out? You tour, of course! The soulful bunch have a slew of dates ahead. New York, while their release party at the famed Apollo Theater on April 30 is sold-out, they'll stick around for a second show there on May 1 ... tickets are still available to that one folks, grab 'em while you can. They'll even be taking their old school soul to the legendary Newport Folk Festival on August 1. That my friends, sounds like a road trip waiting to happen. I've given I Learned The Hard Way several spins since its release. It's a good record. Personally, I would have preferred some numbers that were more upbeat as I'm a fan of the hot, sweaty, shake your booty 'til it falls off, funky soul. In an age where vocals often fall to the wayside, Jones reminds us that you don't need gimmicks or fancy computerized technology. A good, old fashioned, soulful voice goes a long way. Check out the video for "I Learned The Hard Way" below.